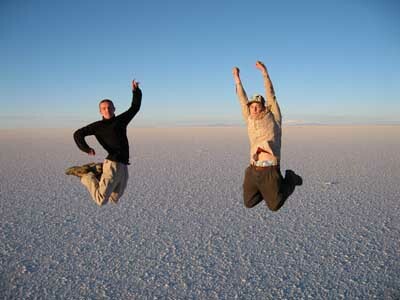 With 10,582 square kilometeres and 3,656 metres above sea level, the Salar de Uyuni is the largest salt flat in the world. This vast, flat land of pure white salt combines with multi-coloured lagoons, volcanic mountains, tree-like rocks and towering islands of coral to create one of the most unique and bizarre landscapes in the world. 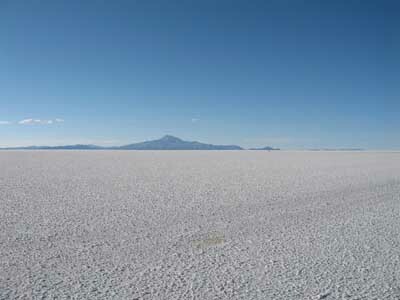 Some of the sights within the Salar include: The Train Cemetry of Uyuni; Incahuasi Island in the Salar; Ojos de Salar; and the Eduardo Avaroa Nature Reserve, which contains a number of lagoons of bright red, yellow, green and white water, coloured by virture of their mineral content. Also in the national park are geyser, the Lincacabur volcano and the breeding grounds of 3 of the worlds 6 species of flamingo. After breakfast we start our trip in our private 4WD. 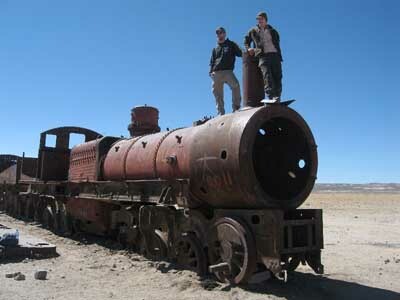 First we will pass the train cemetery and the cooking salt production village of Colchani until we get to the worlds biggest salt flat – the Salar de Uyuni. 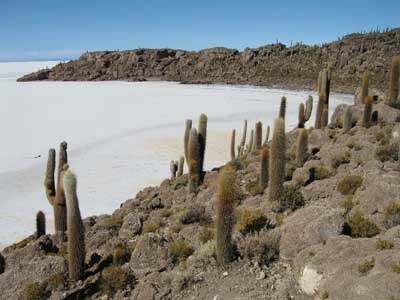 In the middle of the Salar we will visit the Incahuasi Island, where we can marval at century old cacti of 12 metres height. 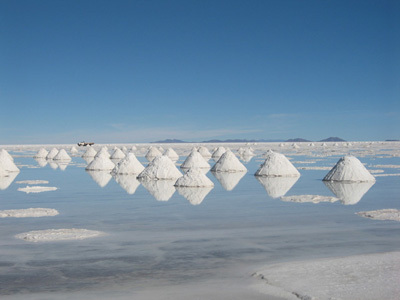 Overnight stay in the Tayka Hotel de Sal. 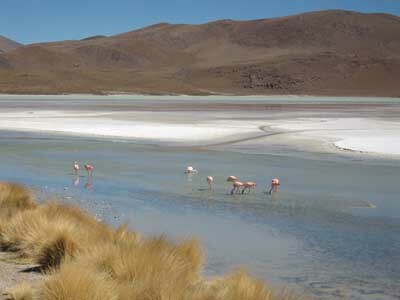 Today our trip will leads us through the impressive desert landscape of the Eduardo Avaroa National Park with stunning lagoons where we will see lots of flamingos. Overnight stay in the Tayka Hotel del Desierto. 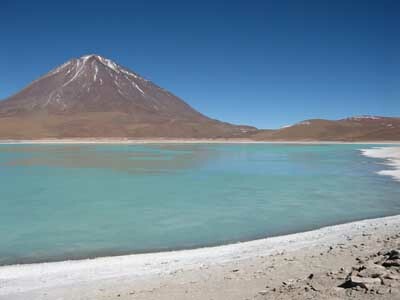 In the morning we will reach the Laguna Colorada, a fascinating red and blue coloured lagoon. 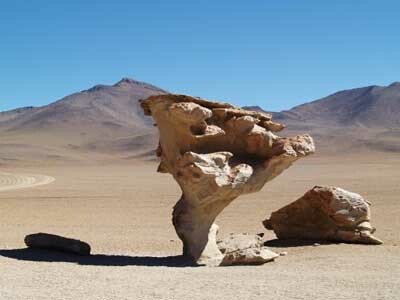 Later we will leave towards the geyseres of „Sol de Manana“. 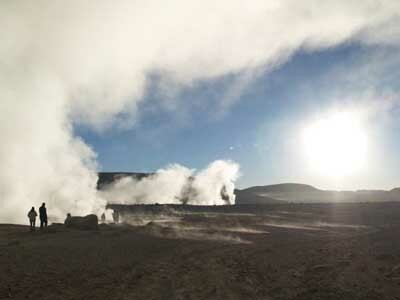 Farther on we will visit the thermal springs of “Aguas Termales”, where we can heat up from the badly cold morning hours. 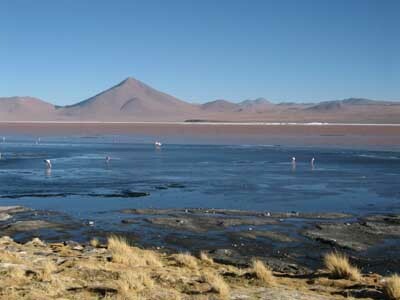 Later we will pass the desert of „Salvador Dali“ to get to the Laguna Verde the southern most point of our trip. 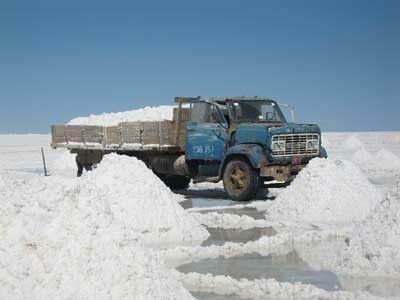 Here we will start our way back to Uyuni. 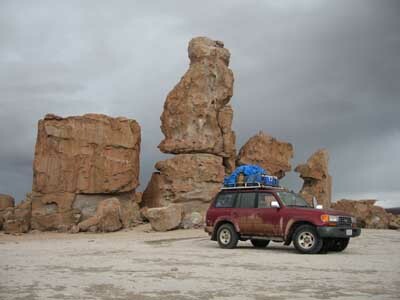 Another sight along the road are the fascinating rock formations of the “Ciudad de Rocas”. 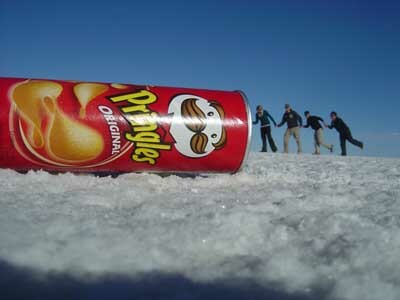 In the late afternoon we will arrive in Uyuni.